“Chef Ann is an inspiration to all of us at Rudi’s Organic Bakery for helping provide the much-needed resources to transform school lunchrooms so all our children can be healthier and happier,” said Doug Radi, senior vice president of marketing and sales. Rudi’s Organic Bakery has partnered with Chef Ann Cooper, the Renegade Lunch Lady, to revolutionize school lunch for kids everywhere through Let’s Doodle Lunch. Earlier this summer, Rudi’s Organic fans were invited to upload artwork on Facebook to receive a reusable sandwich box featuring that design on the lid. Fans submitted 18,500 delightful designs to the Rudi’s Organic sandwich box art contest application, Let’s Doodle Lunch, on Facebook. From July 1st through July 31st when fans submit their first vote for their favorite design, they will receive a $0.75 coupon good for any Rudi’s Organic product, and Rudi’s Organic will donate $1 to Chef Ann’s The Lunch Box, showing their support for healthier options in school lunchrooms nationwide. The design that receives the most votes on Facebook by the end of the July will be named the Rudi’s Organic Official Sandwich Box. The grand prize winner will receive a year supply of Rudi’s Organic bread, a $100 Target gift card for school supplies, a $150 Whole Foods gift card and a year subscription to KIWI magazine. From Aug. 1 to Sept. 30, Rudi’s Organic fans can send in three proof-of purchases to receive a free Rudi’s Official Sandwich Box featuring the winning design. Rudi’s Organic will donate $1 to The Lunch Box for every Rudi’s Organic Official Sandwich Box ordered. 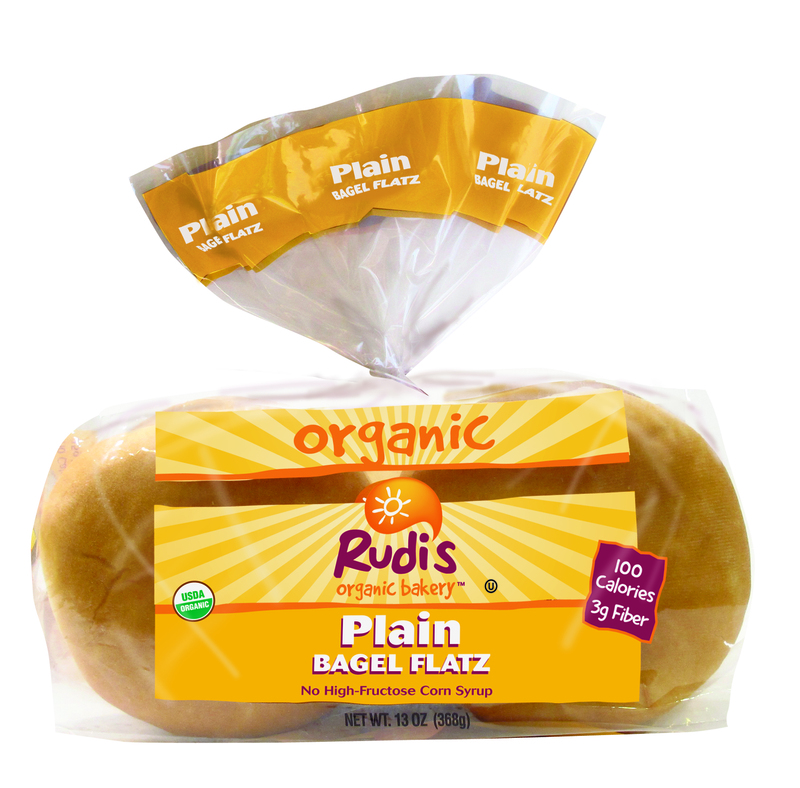 The free sandwich box is the perfect on-the-go option to carry a sandwich made with Rudi’s Organic’s new line of Sandwich and Bagel Flatz. All Flatz are made with recognizable organic ingredients and are free of ingredients like high fructose corn syrup, artificial chemicals and preservatives, and genetically modified organisms (GMOs). Plus, they’re packed with nutrition. All of the Flatz are 110 calories or less per serving, as well as 3-5 grams of fiber and 23-25 grams of whole grains (in the Sandwich Flatz and Whole Wheat Bagel Flatz) per serving. It doesn’t hurt that they’re an oh-so-tasty choice for lunch, too, from PB&Js to a layered turkey and cheese sandwich with veggies. Use a Bento style lunch box with numerous compartments for lots of delicious flavors. Go shopping with your kids in the produce section of the grocery store and let them help pick out items for their lunch. Let your kids help make their lunch; let them add condiments to a sandwich or allow them to mix dried fruit and nuts for trail mix. Pack dips with fruits and vegetables for fun flavorful eating. Aim for the rainbow: make sure there are a variety of colors in your child’s lunch. Eat lunch with your child at school so you really know what’s being served. Become familiar with the school district’s wellness policy and gather like-minded parents to let the school board know you want healthier food. Volunteer in your school’s cafeteria, then try and work with and support the nutrition services director to create healthier food options. Help raise funds to get a salad bar in the cafeteria. To learn more about The Lunch Box and how to get involved and support the organization’s various programs, fans can text “Lunch” to 50555. 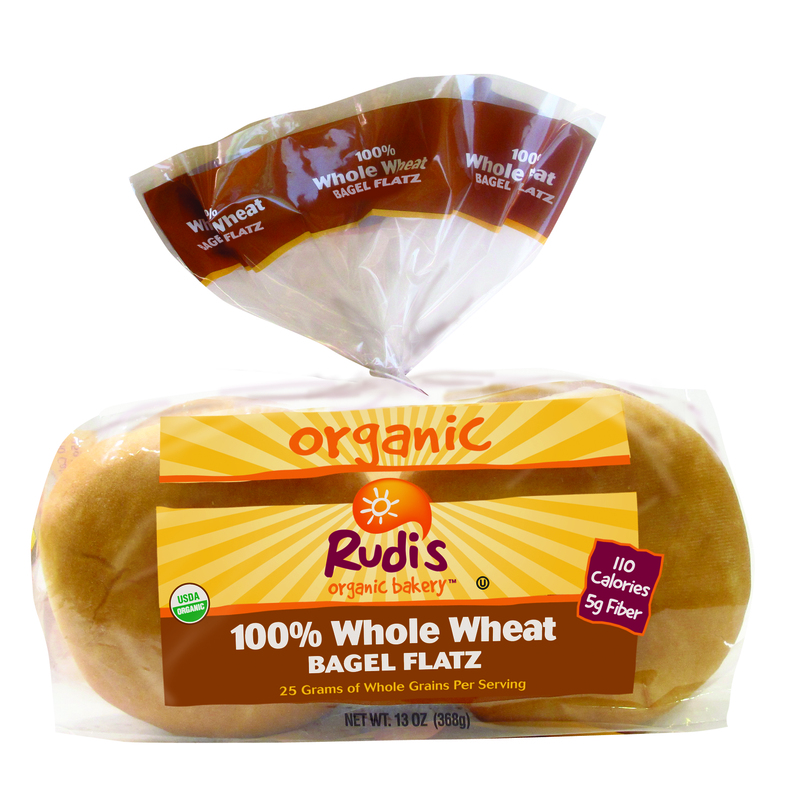 Rudi’s Organic was founded more than 35 years ago on the idea that there is a better, brighter way to make bread, leading the company to become a trailblazer in the bread industry. Today Rudi’s Organic continues to bake bread free of artificial ingredients and preservatives after pioneering the use of organic ingredients in its breads and baked goods more than 20 years ago. For more information, visit rudisorganicbakery.com. Rudi’s Organic Bakery, Inc., has been passionate about baking better breads for families for more than 30 years. Founded and headquartered in Boulder, Colo., Rudi’s Organic Bakery is the only nationally available brand offering a full line of nutritious and delicious, certified organic breads and baked goods. Rudi’s Organic is committed to baking breads using only the best organic ingredients and no artificial additives, preservatives and GMOs. In 2010, Rudi’s Organic leveraged this heritage to create Rudi’s Gluten-Free Bakery, a line of gluten-free breads and baked goods made with wholesome, all-natural ingredients so that each bite tastes like the real thing. Rudi’s Organic and Rudi’s Gluten-Free products are available nationally at natural foods stores and select mainstream supermarkets. For more information, visit http://www.rudisbakery.com.